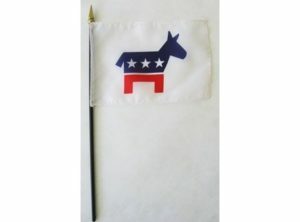 View cart “4 in x 6 in Democratic Mini-Flag” has been added to your cart. 3 ft x 5 ft outdoor flag. Made of 200-denier Solarmax ™ nylon with white canvas heading with two brass grommet. 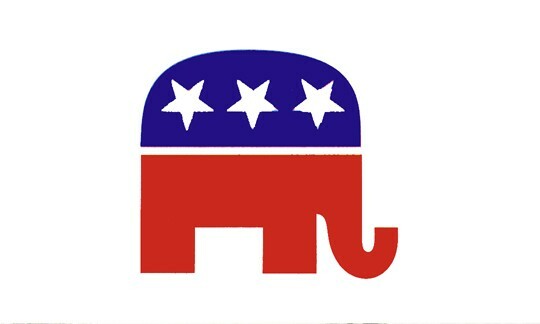 Made in the U.S.A. by Annin Flagmakers. 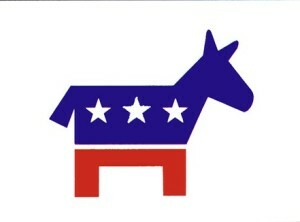 4 in x 6 in silk-like polyester Democratic flag mounted on a 10 in x 3/16 in black plastic staff with gilt spearhead.